There is no question PlayStation is soaring to new heights as evidenced by the recent success of God of War. Before launch, the game became not only became the best-rated game in the series but the highest rated PS4 exclusive since the console’s launch. It has also become the fastest-selling PS4 exclusive. 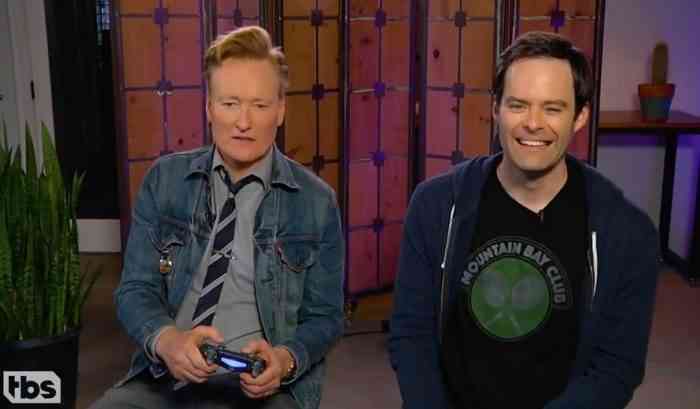 Now the game has made its way into the hands of Conan O’Brien. Granted, we know Conan O’Brien’s ‘Clueless Gamer’ segments shouldn’t be taken seriously, but they sure are entertaining to watch. In the latest episode, he invites Bill Hader to play God of War and the result is hilarious. If you’re looking for a good laugh, then it’s totally worth the watch. While no one should be looking at Clueless Gamer for real reviews, we do; however, think it’s a great segment that can spread interest in new games from non-gamers. God of War is the latest entry into the series. A soft reboot, Kratos is now much older and wiser, living in the realm of norse mythology. Joined by his young son, Atreus, Kratos sets out to spread the ashes of Atreus’ recently deceased mother, only for the world to strike out against him, and for Kratos to strike back. The game abandons the top down cinematic cameras and hack-and-slash combat for an over the shoulder third person approach, now giving players a powerful axe and shield and relying on proper combat tactics as opposed to the button mashing of old. Kratos himself has undergone a massive – and important – shift in character; he is now calmer and wiser but still retains his potent badass streak. Puzzle solving and visceral combat return from previous iterations, but God of War now also features customization options akin to standard RPG games, as well as numerous collectibles to find. God of War is available now, exclusively on the PlayStation 4. For more information, check the game’s official website. Have you played the game yet? Tell us in the comments below.